Vintage fruit images, swirly gesso borders, and colorful "painted" backgrounds are featured on these printable art papers. 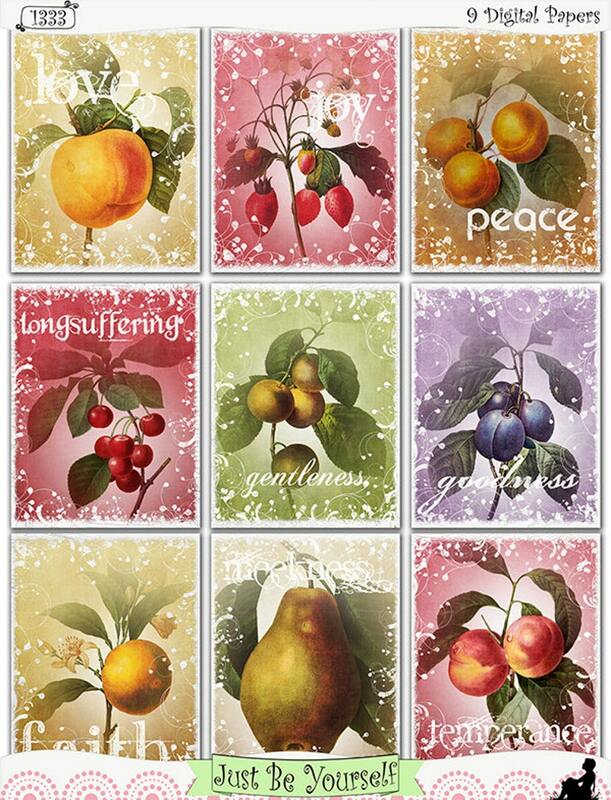 Each paper features word art from Fruit of the Spirit; love, joy, peace, faithfulness, etc., in red, orange, yellow, green, and purple. * Instant download collection of 6 - 8.5" x 11" papers. *Perfect for scrapbooks, visual journals, art journals, mixed media and altered art, collage, printable cardstock, smash and stash books, banners, artist trading cards (ATC), pennants, and stationery!